Are you confused over choosing your career? Don't worry, here is astrology remedy for choosing best career option according to zodiac sign. 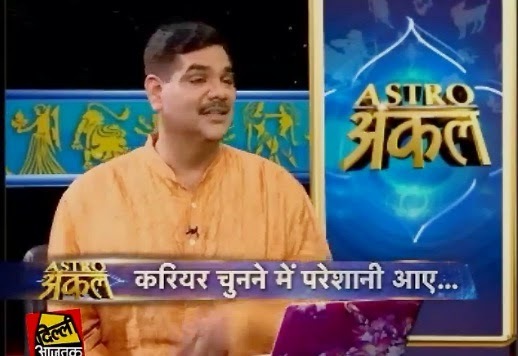 astro uncle explaining how and which career should choose according to zodiac sign. Aries: Mars is the owner of Aries sign. You should do such work in which Mars helps you. You can do sports, land, army, vehicle, traveling and management. Taurus: Taurians are very peaceful however they are stubborn. They can choose management. You can also get benefit by choosing administrative filed. Gemini: They can choose speaker, liaising and accounting filed. If Mercury finger is long then you should do leadership work. You will get prestige. Cancer: You should give knowledge and spread spirituality. You can choose spirituality, astrology, medical, teaching, psychology, neuroscience. You can become honest person. Leo: You should do land, government, business, management and political work. You can also do chemical and food relative work. Virgo: They can do law, management, chartered accountant, chartered secretary, teaching, research work. They will get more benefit by avoiding immaturity. Libra: They can do clothing, designing, media, film, and creative writing work. They can also become doctor. You can also serve and traveling work. Scorpio: You will get more benefit by doing work in medical, medicine, counseling, chemical, public relations, police, and army. Saggitarius: They get benefit by doing work in teaching, research, speaker, political, finance, designing, law, reporting. Capricorn: You can get benefit by doing work in technical, machinery, engineering, farming, law, teaching, speaker and media. Aquarius: You may become finance adviser. You will get more benefit in law, journalism, teaching and healing work. Pisces: You can choose teaching, law, office management, medicine and doctor field. If Jupiter is good then you can also choose administration field. Extra Remedy: If you lose important metal then take small bowl and keep seeds of ratti in it. You have to chant “Om Gam Ganpataye Namah” 108 times and keep this bowl in front of lord Ganesh. Offer Janoi to lord Ganesh and make knot on it. You have to open this knot when you will get your lost metal.